A tumbling flower beetle (Family Mordellidae) hangs onto a filament of a rhododendron blossom while feeding on pollen. 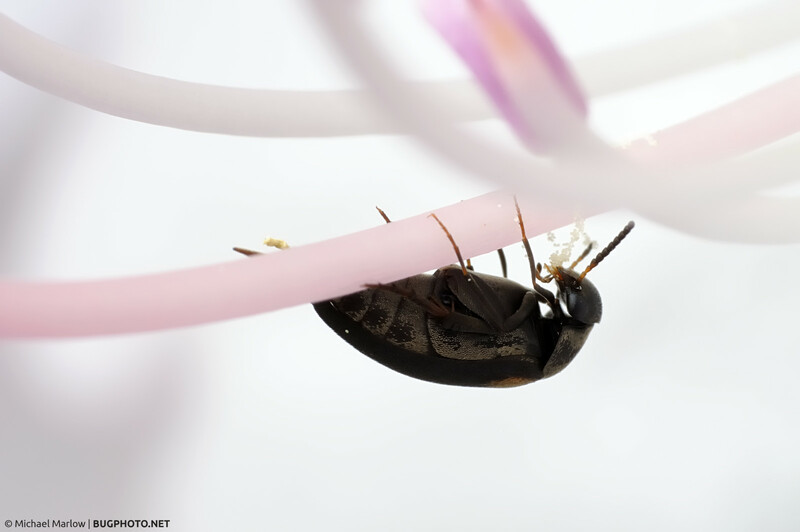 This aerodynamic-looking beetle is a member of family Mordellidae, the tumbling flower beetles. BugGuide.net has a remark that suggests this common name references their acrobatics when trying to make an escape. Which sounds quite appropriate to me under the net of a blisteringly cold Monday morning. Posted in ColeopteraTagged beetle, insect photography, Macro Photography, Monday, Mordellidae, pollen, rhododendron, tumbling flower beetleBookmark the permalink.